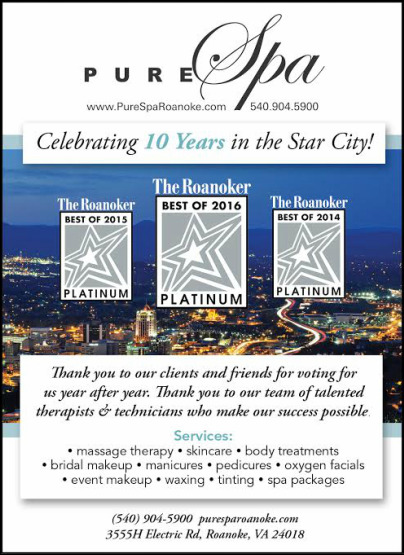 the best spa in Roanoke. Beautiful treatment rooms, calming aromas, and effective treatments by our professional therapists all come together to bring you the most relaxing spa experience. Pure Spa is an award-winning spa offering a complete day sanctuary experience. Nestled in the Blue Ridge Mountains of the Roanoke Valley, Pure Spa offers an environment of relaxation and nature's balance. Focus is placed on enhanching well-being using Phytomer, the world's leader in patented marine ingredients. Customized blended massage is offered using a variety of modalities – including traditional swedish, deep tissue, hot stone, thai yoga and many others. Advanced anti-aging facial treatments, organic facials, manicure and pedicures, body therapies and detox treatments are also available. 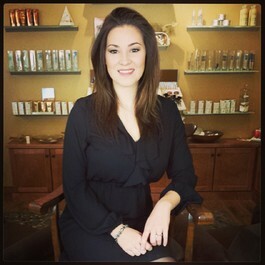 Pure Spa combines natural products and experienced therapists to create a soothing atmosphere. A Refined Experience Awaits.